The guys from D&D Paving have been working with us since the very beginging. 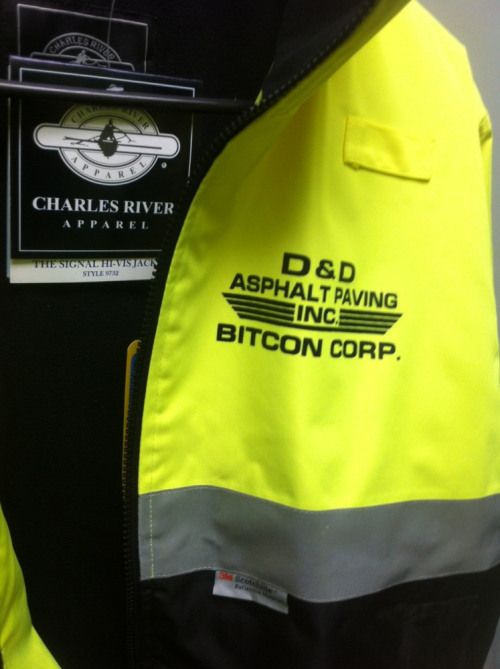 Helping them prepare for a cold New England weather we produced a couple different style jackets for their crews to look good and stay warm in while they are out snow plowing. We started off by screen printing Charles River Hi Vis Safety Jackets and then embroidering on Game Sportswear Olympian Jackets. We carry a full line of safety apparel, make sure to ask us how we can help you stay warm and stay safe this Winter!